Rosalee Sweet, a native of Philadelphia, has been dancing since the age of 5. In 2003 she received her Bachelors of Fine Arts in Modern Dance Performance, from the University of the Arts. While attending UARTS, she has had the opportunity to work with many choreographers such as Manfred Fisheck, Roni Koresh, Brian Sanders, Milton Meyers and Yvonne Rainer. She has been an active member of the Philadelphia dance community since 2000, performing at many events, some of which include GLUE Performance Series, The Koresh Showcase, UARTS Alumni Concert, NEW Edge Festival, Kumquat Festival and the Philly Fringe/Live Arts Festival. Jaime was a core member of Winged Woman Dance Company from 2002 to 20010. She performed with Kate Watson-Wallace and Anonymous Bodies in Live Arts and Philly Fringe Festival, the PIMA Group, and Archedream for HUMANKIND. 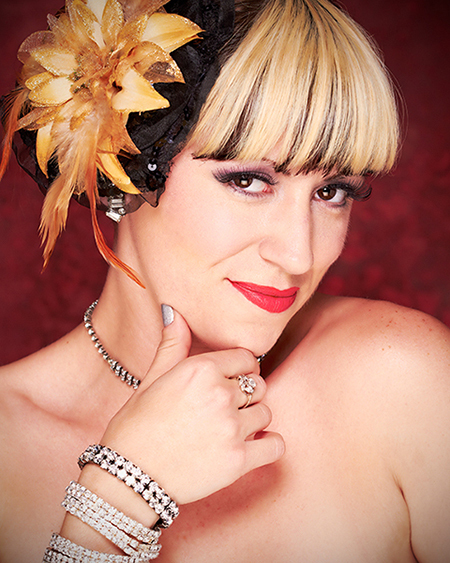 Rosalee is currently a core dancer with the Peek A Boo Revue, Philly’s Premiere Neo Burlesque Troupe. She would like to thank her friends and family who have nurtured and supported her love for the arts and dance throughout the years.